Ambrosia White is a Natural material. 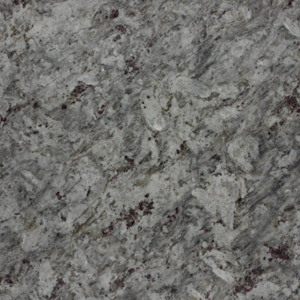 Ambrosia White is a Low priced Granite stone. Ambrosia White is a material made up of mostly white and grey. It also has very nice maroon red within it. Its unique appearance gives it something other granite simply don’t have. It can be found in both modern and traditional designed kitchens. Ambrosia White is one of 11 materials in our Granite Select Range, a collection of the most cost effective granites we supply. If on a budget this material we be a great option to go for. Ambrosia White is a Natural Granite from India, Landford Stone offer this type of stone in a variety of thicknesses and finishes. Ambrosia White is a Low priced stone and will look incredible in your home!